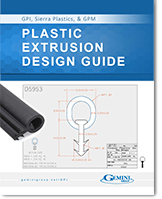 In addition to the plastics extrusion process, Gemini offers a variety of in-house secondary operations for your extruded products enabling parts to remain in one location from inception to completion, thereby reducing time to market and eliminating unnecessary shipping costs. Thermal bending, a post extrusion process, involves the application of heat to bend or form a straight, extruded part. 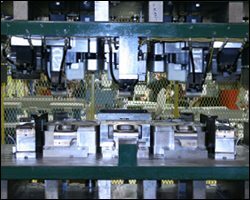 It combines the cost saving benefits of extrusion with the forming benefits of injection molding. Ultrasonic Plastic Welding involves converting high frequency energy into a mechanical motion (vibrations) to create frictional heat in a focused area. This melts the plastic, forming a molecular bond. Ultrasonic Plastic Welding can be used to join plastic to plastic, plastic to vinyl, and plastic to metal. Gemini Plastics is not simply a plastics extruder. We will fully assemble your parts in-house, eliminating the need for them to be shipped to a different facility before being delivered to you. Fully assembled extruded products are easier to install into their final application saving you time and money.